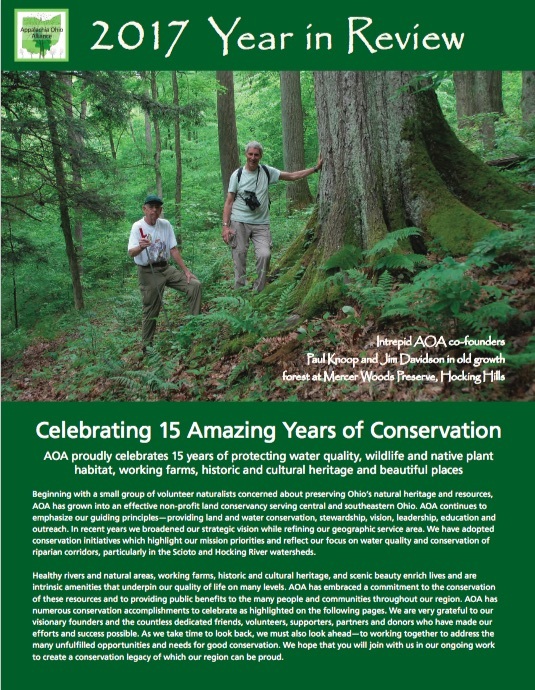 AOA’s Clyde Gosnell is one of two featured woodlot owners included in a video prepared by ODNR’s Division of Forestry. Developed as part of Forestry’s Hocking Hills Woodland Plan and complimenting AOA’s Demonstration Site Project, the video provides a case study of landowners who have actively managed their woodlands. The video seeks to inspire other landowners to improve and enhance their native woodlands. The ODNR Division of Forestry works to promote the wise use and sustainable management of Ohio’s public and private woodlands. To learn more about Ohio’s woodlands, forest health and tree care, visit: http://ohiodnr.com/forestry. The new small woodlot assistance webpages can be found online at http://ohiodnr.com/Forestry/landowner/SmallWoodlots/tabid/5589/Default.aspx.